I use a USB drive almost every single day. I have a problem keeping up with USB drives and caps so this can be problematic. 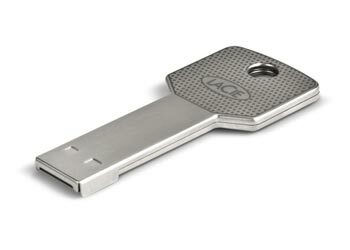  Enter Lacie’s imakey USB drive. I never would have thought I’d be dorky enough to carry a USB on my key ring, but this looks so much like a key I’ll risk it. Just got it in the mail today. It’s sweet.